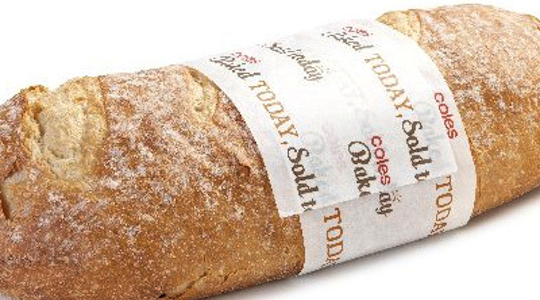 The Federal Court has fined supermarket Coles $2.5 million for making false or misleading representations that its bread products were ‘baked today, sold today’ and ‘freshly baked in-store’. Former Victorian premier Jeff Kennett sparked the investigation last year when he mailed a loaf of the bread in its misleading packaging to ACCC chairman Rod Sims, prompting the watchdog to take action. Marketing reported in September that the ACCC had banned the supermarket chain from making these claims, but it has only just decided on the financial penalty. The misleading claims were part of a nation-wide campaign promoted in 637 Coles supermarkets over a three-year period. Imposing the penalties, Chief Justice Allsop said the evidence showed Coles had breached Australian Consumer Law with the campaign as it had the “clear purpose” of gaining market share from bakeries such as Bakers Delight. “Notwithstanding the absence of any specific evidence as to loss or damage by a consumer or a competitor, it is clear that the significant potential to mislead or deceive and thus to damage competitors, the duration of the conduct, and the fact that the goods in relation to which the impugned phrases were used were ‘consumer staples’ indicate that the objective seriousness of the offending conduct was considerable”. Sims said the penalty would send a strong message to companies that they should not use “broad phrases” in promotions to deliberately mislead. “It is important that sellers in the market recognise that consumers are entitled to reliable, truthful and accurate information. “The conduct also placed independently-owned and franchised bakeries that entirely bake bread from scratch each day at a competitive disadvantage,” Sims said.